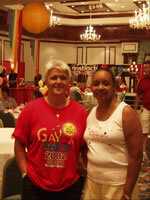 One of the world's largest Gay & Lesbian Travel, Entertainment & Business Expos! FREE PARKING and Admission to ALL Expo locations. 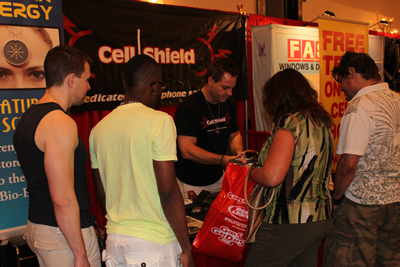 Admission to the 18+ Expo requires shoppers be at least 18 years of age. The GayDays® Orlando Expo, located at the Official GayDays® Host Hotel, offers an exceptional opportunity for GayDays® attendees to view and sample goods and services specifically targeting our community during their vacation. It is also perfect for locals to come and enjoy this Expo as part of Orlando's annual GayDays® celebration. With over 20,000+ attendees in 2018, the GayDays® Orlando Expo is one of the largest GLBTQ expos in the world and a great place to meet new friends. There are many other great events happening at the Official Host Hotel that you can attend before or after you visit the Expo. Click HERE for the Calendar to view daily hours of operation.